BOLT Lock Cylinder Lock can be used in toolbox, trays and other areas you want to secure and use you vehicle key to unlock. All BOLT Lock products utilize the BOLT Lock Cylinder, which is what gives the BOLT Lock it’s unquie functionality. 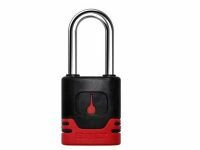 The Cylinder Lock can be used in a variety of different ways and other manufacturers use the BOLT Lock Cylinder to secure their products. Please select the Cylinder Lock for your vehicle or if you don't want to use your ignition key, BOLT Lock Australia provides the Key for FREE with your purchase of the BOLT Key Range. The Chyrsler & Dodge Cylinder Lock Kit is compatible with the Chrysler - 300, Crossfire, Neon, PT Cruiser, Sebring, and Voyager Keys and the Dodge - Avenger, Caliber, Journey, Nitro and the Ram Pickup Keys. The Ford Cylinder Lock is compatible with the Ford - Escape, Explorer, F Series, Falcon, Fiesta, Focus, Kuga, Mondeo, Mustang, Ranger, Taurus, Territory and Transit Keys. The Holden Cylinder Lock Kit is compatible with the Holden - Colorado, Commodore VF, Equinox, Trailblazer, Trax and Ute Keys. The Mazda Cylinder Lock Kit is compatible with the Mazda - Bravo (B Series), BT-50 and the Tribute Keys. The Nissan Cylinder Lock Kit is compatible with the Nissan - 350Z, Altima, Cube, Dualis, Qashqai, Elgrand, Juke, Maxima, Micra, Murano, Navara, Frontier, Pathfinder, Patrol, Pulsar, Tiida and X Trail Keys. The Toyota Cylinder Lock Kit is compatible with the Toyota - Aurion, Avalon, Camry, Celica, Coaster, Corolla, FJ Cruiser, Hiace, Commuter, Hilux, Kluger, LandCrusier, Prado, Prius, RAV 4, Tarago, Townace and Yaris Key. The Chyrsler & Dodge Cylinder Lock is compatible with the Chrysler - 300, Crossfire, Neon, PT Cruiser, Sebring, and Voyager Keys and the Dodge - Avenger, Caliber, Journey, Nitro and the Ram Pickup Keys. The GMC & Chevrolet Cylinder Lock is compatible with the Chevrolet - Avlanche, Blazer, Camaro, Corvette, Silverado, Suburban, Tahoe Keys and the GMC - Sierra, Yukon Keys and the Cadillac - CTS and Escalade Keys. The Holden Cylinder Lock is compatible with the Holden - Colorado, Commodore VF, Equinox, Trailblazer, Trax and Ute Keys. The Jeep Cylinder Lock is compatible with the Jeep - Cherokee, Commander, Compass, Grand Cherokee, Patriot and Wrangler.